Do you keep putting off writing your will? We don’t blame you, writing a will is a way of admitting our mortality, and no one wants to think about passing away. However, it is very important to have a will written properly to ensure your final wishes are carried out when that does happen. It’s a legal document in which you, the testator, declare who will manage your estate after you die. The person named in the will to manage your last wishes and estate is called the executor. Your estate can consist of anything from a big mansion or a vacation home to trinkets or photographs that hold sentimental value. You can declare who you want to receive specific items that you own, and the person designated to receive any of your property is called a beneficiary. A will can also state whom you wish to become the guardian for any minor children or dependents. All wills must meet certain standards such as being witnessed to be legally valid. Note that some types of property, including certain insurance policies and retirement accounts, generally are not covered by a will. You should list your beneficiaries when you take out the policies or open the accounts. Make sure it’s all up to date, since what you have on file when you die should dictate who receives those assets. When there’s no valid will, your estate will usually be settled based on the laws of your state that outline who inherits what. That’s called intestate. Probate is the legal process of transferring the property to the rightful heirs. When there’s no named executor, a judge appoints an administrator. This also happens if a will is deemed to be invalid. Requirements vary from state to state. Since an administrator will most likely be a stranger to you and your family, and they may make decisions that wouldn’t necessarily align with your wishes or those of your heirs. You are not required to hire a lawyer to prepare your will, although an experienced lawyer can provide useful advice on estate-planning strategies such as living trusts, and make sure that your will meets the legal requirements of your state. Consider seeking an estate lawyer free consultation. While you’re creating or updating your will, think about preparing other essential estate-planning documents, such as financial and health care powers of attorney to ensure that your wishes are carried out while you’re still alive. Your spouse, an adult child, or another trusted friend or relative could be named an executor of your will. However, if your affairs are complicated, you may want to consider naming an attorney or someone with legal and financial expertise. Also, you can name joint executors, such as your spouse or partner and your attorney. One of the most important things your will can do is empower your executor to settle any bills or debt you may have, so it’s crucial that your will clearly allows for this. It’s important to keep your will in a safe yet accessible place, especially since a probate court usually requires your original will before it can process your estate. If your will is kept in a bank safe deposit box that only you have access to, your family might need to seek a court order to gain access. A good alternative is a waterproof and fireproof safe in your house. Also, your attorney or someone you trust should keep signed copies. This would help in case the original is destroyed to establish your intentions; however, the absence of an original will can complicate matters, leaving no guarantee that your estate will be settled as you’d hoped. It’s really up to you – that your will may never need to be updated, or you may choose to update it regularly. The only version of your will that matters is the one that is most current and valid at the time of your death. It may be a good idea to revisit your will at times of major life changes, such as marriage, divorce, the birth of a child, the death of a beneficiary or executor, a significant purchase or inheritance. Also, you might still need to name guardians if you have any disabled dependents. Just to be safe, review your will every two or three years. Contesting a will means challenging the legal validity of all or part of the document, and a beneficiary who feels slighted by the terms of a will could choose to contest it. Also, depending on the state, a spouse, ex-spouse or child who believes your stated wishes go against local probate laws may contest your will. Other reasons a will could be contested include that it wasn’t properly witnessed; you weren’t competent when you signed it; it’s the result of coercion or fraud – and it’s commonly up to a probate judge to settle the dispute. The best defense is always a clearly drafted and validly executed will. It is never too early or too late to begin thinking about a last will and estate planning, and making one is usually a rather simple and inexpensive process, especially considering that it can give you peace of mind, and save your family time, money and grief. At the Levin Law Group, our experienced wills and trusts attorneys in New York will assist you in advising and preparing a wide range of estate planning documents. We have supervised and probated thousands of wills for families just like yours. We invite you to contact us so we can help you take steps to ensure your wishes, interests and assets are protected. 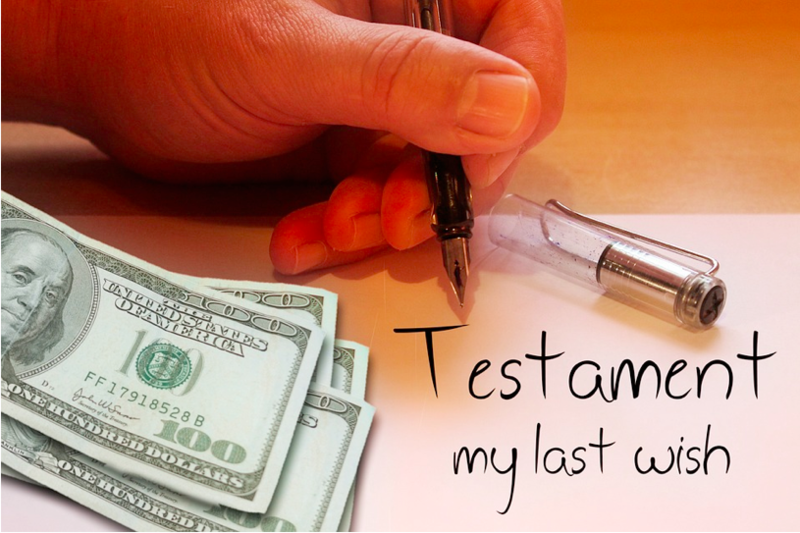 Get a will prepared by a trustworthy trust and wills attorney in NYC. For an estate lawyer free consultation – contact Levin Law Group today: 1-(800) 517-5240.